Science fiction, something I like a lot when I was a teenager, and that can still get my attention when I run into a good movie or book. Apparently, I should add music album to that list as well – given this new release by Gekko Projekt. Gekko Projekt consists of Peter Matuchniak on guitar, Vance Gloster (keyboards), Rick Meadows (bass) and Alan Smith (drums). These four, all of whom have been around in the music scene for many years, founded the band in 2010 and released their debut album Electric Forest in 2012. For this new album, Rey of Titan, they joined hands with female vocalist JoJo Razor, with wonderful results. The four men each take their share of the male vocals on the album, but it’s JoJo’s voice that makes me shiver in combination with the four men behind her doing what they do best – play their instruments. The music is a mix of styles that may be encountered in other places, but never in this exact way. The bass that reminds sometimes of early Rush but with a jazzy feel where needed, while the guitar has influence of Steve Hackett as well as many a jazz rock guitarist (which I also heard on Peter Matuchniak’s solo album Product). The keyboards switch seamlessly between eighties neo prog, but also reach back into the keyboard walls of the 70s and drums that keep everything in line but add to the music at the same time. This may sound chaotic, but all of this is very well distributed over the 13 tracks that make up the album, from the filmic Snow White and Grains of Sand – which tell of Reya’s trip to the asteroids for mining and the accident that gets her to go into her freezer pod, via the slightly more up tempo North of Titan, which has a great jazzy instrumental section, to the full blown slightly staccato jazz rock track Frienda, that would only be better if the brass in the intro hadn’t come from a synth. In a way, although I don’t like such comparisons, it reminds me a little bit of Gong. After that, This is now our Home is a full blown symphonic rock epic – with quiet parts, 70s wailing keyboards and guitar interplay and once again that jazzy jazz rock instrumental that somehow puts a signature on the album for me. These two tracks combined, Frienda and This is now our Home, are the best part of the album for me. The tracks that follow tell the story of what happens on Titan, after Reya has lived there for 24 years. When help finally arrives for her and the people that rescued her in the end, she decides to stay on Titan and is crowned queen. All of this is told by the wonderful, slightly Middle Eastern sounding instrumental 24 years in Solitude, the rocking and varied Queen of Titan and the heavy pulsing Escape from the mines of Titan. The album ends with Reya’s favourite song from earth being played on Titan radio, Sing for Me. A surprising, somewhat weird track, with a surf guitar (?) opening and a rock ‘n roll like bass line that move into a more punctuated almost-but-not-quite-sixties pop song. 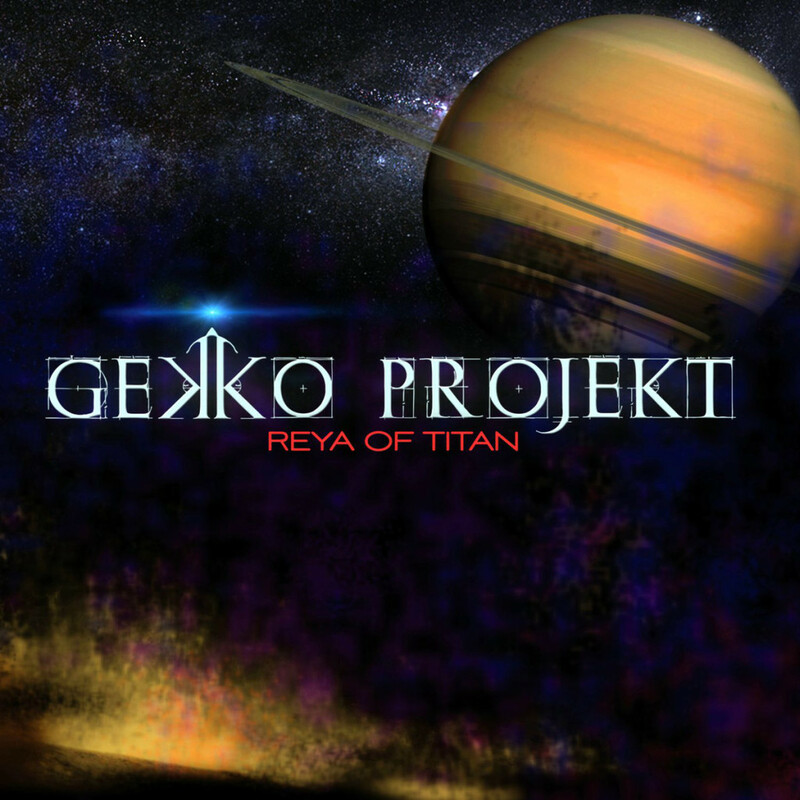 Perhaps one day a real Reya will indeed request this Gekko Projekt track on space radio while flying to her next asteroid to mine. I’d recommend she requests the full album to be played.